Ed Cook is one of the founding directors of the Lamont-Doherty Earth Observatory Tree-Ring Laboratory. 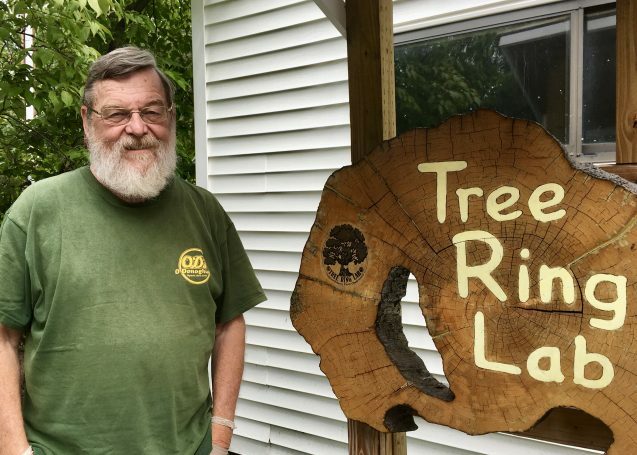 During his 43 years at Lamont, Cook has used tree rings to decode past climate patterns and advance understanding of drought — research that has taken him almost everywhere on the planet there are trees, from the United States and Canada to much of Southeast Asia, Australia, and New Zealand. Part of Cook’s work is devoted to developing “drought atlases” or extensive, centuries-long records of wet and dry periods for a given region, derived from the data contained in tree rings. He and his colleagues published the first of these, the North American Drought Atlas, in 2004, followed by the Monsoon Asia Drought Atlas, published in 2010, and the Old World Drought Atlas and Eastern Australia and New Zealand Drought Atlas, both published in 2015. Cook received funding from the Center for Climate and Life to develop a much more comprehensive Northern Hemisphere Drought Atlas, which will add to what we know about the causes of drought, how it impacted people and the environment in the past, and what its impacts might be in the future. Q. What is your research about? A. In 1975, Gordon Jacoby and I established the tree ring lab at Lamont with a grant from the National Science Foundation to do work using tree rings to study climate and climate change in the past. And that’s been the main focus of this laboratory ever since. We work to get a better understanding of how climate is changing now, and how that compares to how climate has varied and changed in the past. 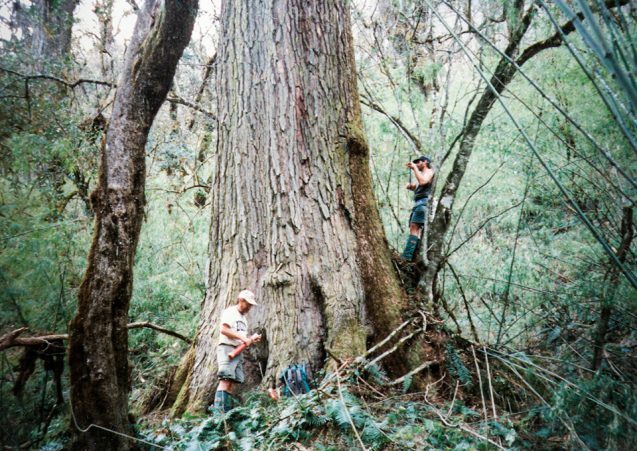 The trees we work with are often several hundred to even a few thousand years old. So they give us a very good window into the past for comparing how climate is changing today in comparison to the past, and some important results and breakthroughs have happened here at this lab. My particular research focus has been developing a better understanding of hydroclimatic variability, or drought, how it’s varied in the past, and what tree rings can tell us about the past. For the purpose of doing this work, I’ve developed a series of drought atlases. For example, the North American Drought Atlas covers the entire North American continent, from Alaska down to Central America. I used it to identify periods of past megadrought in this region, which more frequently occurred in medieval times, or about a thousand years ago. For reasons that we still don’t fully understand, these megadroughts are mainly characterized by much greater duration than we’ve seen at any time in recorded history. For example, there were droughts in California that lasted for over 100 years. There hasn’t been anything like that since. We’re trying to understand how and why these megadroughts happened because if the climate system has a natural capacity to go into megadrought mode, we have to be concerned that we could enter into a similar mode today. We’re now experiencing the effects of greenhouse warming, and that will likely promote warmer and drier conditions in many parts of the U.S., particularly in the west. And if the megadroughts that happened in the past without being forced by greenhouse warming were to happen today, we can imagine that the situation — and the impact — could be much worse. Q. How does your work improve understanding of the challenges posed by climate change? A. Tree rings can’t inform us directly about the future. They just tell us about today and the past. But what they can do is help us gain a better understanding of the physical processes that led to unusual periods of wetness and dryness in the past, which in the pre-industrial days, had great impacts on people all around the world. The idea behind this Climate and Life project is to use these long tree-ring reconstructions to learn how and why variations in drought occurred in the past and then use that information to perhaps improve climate models and test their predictions of future change. One of the big things that will come out of this work is the improvement in our understanding of the processes of hydroclimate variability that might be identified through the evaluation of these drought atlases in a climate-modeling framework. So trees might help us anticipate future change in the sense that the past can be used to help us improve models for making future projections of change. And therefore we might be able to plan ahead, as it were, in an adaptation strategy sense. Q. Can you explain some of the expected applications of this work? A. The applications of this work are potentially game-changing to our understanding of the causes of hydroclimatic variability. The further development and improvement of tree ring networks is a very big part of developing this Northern Hemisphere Drought Atlas. For example, I’ve been collaborating with two Russian tree-ring scientists to obtain new data for Russia, and I hope that by the end of 2018 we’ll have a Russian Drought Atlas ready for publication. These drought atlases will be freely available to climate modelers for modeling and attributing causes of climate variability. But drought atlases are not just useful to modelers. Scientists across a range of research disciplines use them to improve understanding of climate phenomena, determine patterns of climate variability back in time, and improve predictions of future climate scenarios. Drought atlases also provide critical information to governments for decision-making and policy, as well as to those working in finance, industry, and non-governmental organizations on matters related water, the environment, and sustainability. Historians find drought atlases to be extremely useful too. Through research at Lamont we’ve learned there’s a good association between both the rise and the fall of certain civilizations and peoples and variations in wetness and dryness. So historians are utilizing to a great extent the drought atlases I’ve already produced to try to gain insights into the impact of climate on the past peoples. Q. When it comes to finding climate solutions, what gives you hope? A. One thing that makes me somewhat optimistic about adapting or adjusting to future climate change is the massive development of renewable sources of energy. In the U.S., even with the lack of emphasis on this now, it’s practically irreversible: The amount of solar and wind energy that’s being produced is skyrocketing and that’s not going to change in the future. So from the point of view of reducing our dependence on fossil fuels we’re moving in the right direction in respect to energy. And that gives me a little hope that the rise in greenhouse gases may stabilize, and maybe a little bit sooner than some projections indicate. Q. What’s your favorite book about climate change? A. I don’t have a particular favorite, but I’d recommend the volumes by Hubert Lamb called Climate: Present, Past and Future. Lamb was one of the very first historical climatologists back in the 1960s, and he really pushed the importance of understanding past climate to try to understand how it affected humans in earlier times.